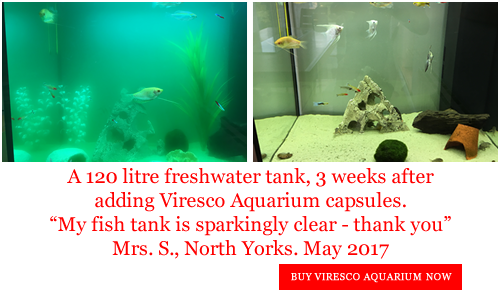 Viresco UK Ltd. Suppliers of speciality products for the amateur pondkeeper and gardener worldwide. FREE Delivery Worldwide. Removal of Blanketweed. We sell various aquatic algae control products and specialist horticultural supplies worldwide to amateur gardeners. Many of these products contain microbes that improve plant growth and, in water systems, remove nitrate and reduce phosphate. Our aquatic algae control products suppress blanketweed (blanket weed) and other algae by removing the nutrients on which they live. We offer two microbial aquatic weed control products to pondkeepers for the removal of blanketweed and algae bloom. We sell a third product to control algae bloom in aquariums. Blanketweed has different names, including string algae, filamentous algae, silkweed and curly weed. It is over 12 years since the first aquatic weed control product was launched and since that time we have had tremendous success with the product range. Blanketweed can grow in some ponds at an alarming rate – in excess of 2 metres per day – and can cause serious frustrations to pondkeepers. When our aquatic control products are used, for these people, pondkeeping can become a pleasure again. Blanketweed becomes a thing of the past! 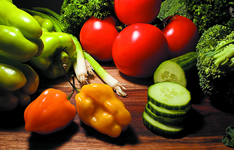 We offer horticultural products to the amateur gardener. Those listed in our on-line shop include more microbial products, humic acid products and fulvic acid. Our humic substances are extremely reactive as they contain relatively high proportions of fulvic acid. These horticultural supplies are used to improve dramatically the growth of all types of plants. They increase root mass and consequent top growth, giving increased yields in crops. They improve plant health and vigour. They enhance resistance to stress and make more efficient use of fertilisers. Certain mycorrhizal fungi in soils give plants benefits, particularly when nutrient levels are low. We sell a microbial product containing mycorrhizas. Best results are achieved when a programme of both humate and microbes is used. 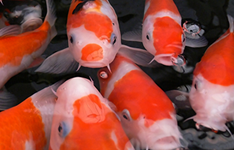 We sell other aquatic and horticultural supplies that are only available to mail order customers in the UK. The full listing is given in our website section entitled “Other Horticultural Products”. They include bulky products and liquids, eg pumice, amino acids, bentonite and liquid humic acid products. My Canadian pond looking great thanks to Viresco Aqua and S'Koi Blue! !